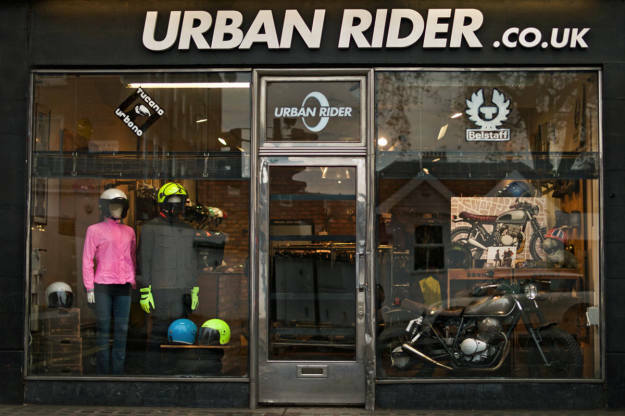 If you live in London, the place to shop for motorcycle gear is Urban Rider. 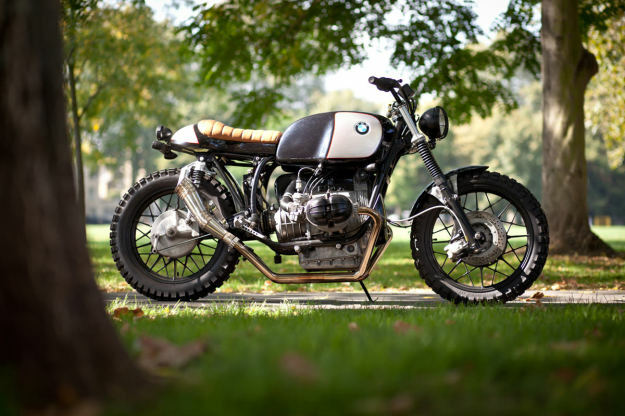 It’s where you’ll find all the big-name brands, and they build damn cool bikes too—like the BMW R80 below. 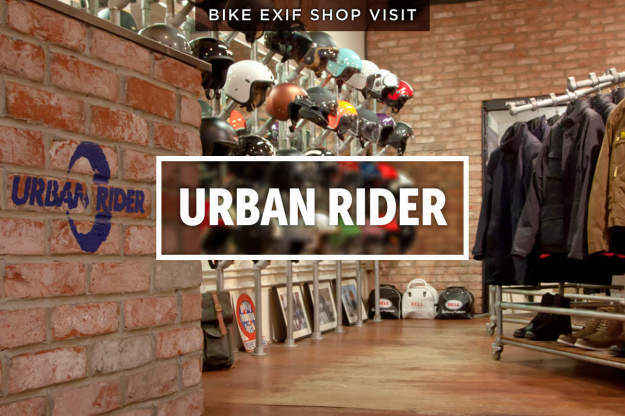 Urban Rider is a destination for many motorcyclists in the capital, and they now help us to run the Bike EXIF Equipment store. So we thought we’d hit up the owners to find out more about the store. They’re William Starritt and Andrew Suenson-Taylor, who started out as friends and then became business partners. 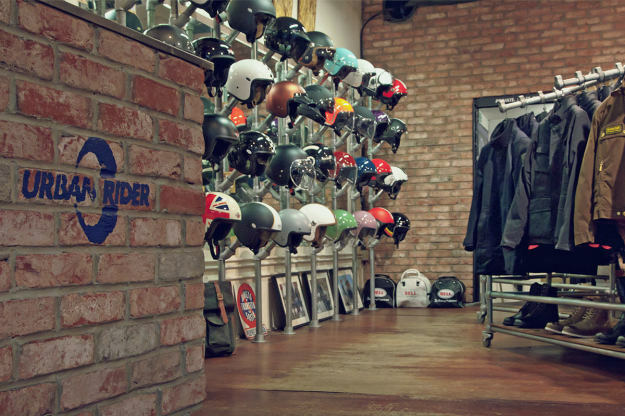 It’s obviously a partnership that works: in less than ten years, they’ve turned Urban Rider into a major force in online retail. So how did the store become so successful in a city hardly renowned for being biker-friendly—and in the middle of a recession? Will gave us the answers. When did you start Urban Rider? We got the keys to the store in October 2007. It was bitterly cold and we didn’t have mains power or heating. Over a couple of months, Andrew and I completed the shop fit on our own. Metal fittings, chipboard and brick walls are very ‘on trend’ now, but we didn’t have the cash for anything else at that point. Your location: what it’s like, and why did you choose it? 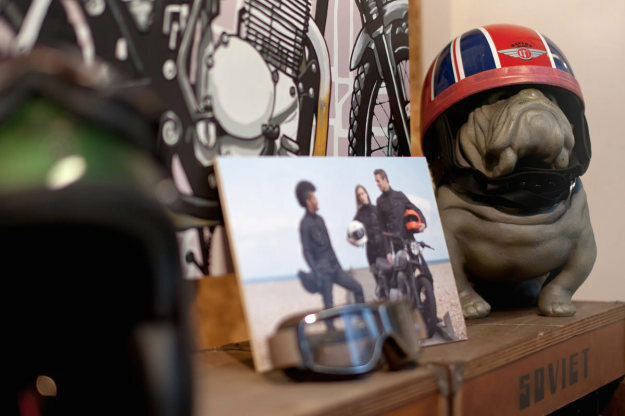 We’re at 51 New Kings Road, which has been a motorcycle store for over 20 years. We took on the lease when the previous owner went out of business. It’s on the border of Fulham and Chelsea: many people know the King’s Road as a mecca for style in the 1960s, and it’s still a focal point for everything that’s new—from fashion to antiques. How did you and Andrew get together? 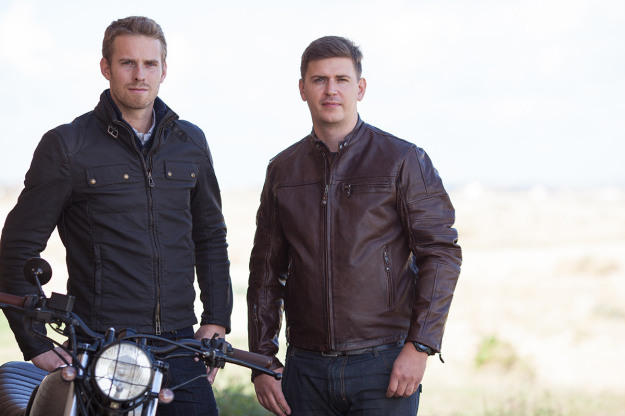 We met riding motorcycles, and co-founded the business having only known each other for a short time. But we quickly discovered we had a shared vision, and saw an opportunity to start a new kind of motorcycle store for London. Our concept of the ‘urban rider’ was to offer products where fashion meets safety, regardless of your ride. We’re a young team with diverse backgrounds: typically we don’t hire from within the motorcycle industry, and value aptitude and passion above all else. What bike(s) do you ride yourselves? We’ve had a few! I currently ride a Yamaha X-Max in the winter and one of our Honda Street Scramblers (above) in summer. Andrew has gone through everything, from exotic MV Agustas to Ducatis. He’s now a fan of the new BMW R1200 GS, which he insists is great around town as well as being able to go round the world—he looks forward to his annual excursions abroad! When did your interest in motorcycles begin? There was no romantic beginning. We both started riding to get off London’s public transport. Riding a motorcycle in the city is like getting to the front of every queue at a theme park! London opens up to you, and the independence is exhilarating. 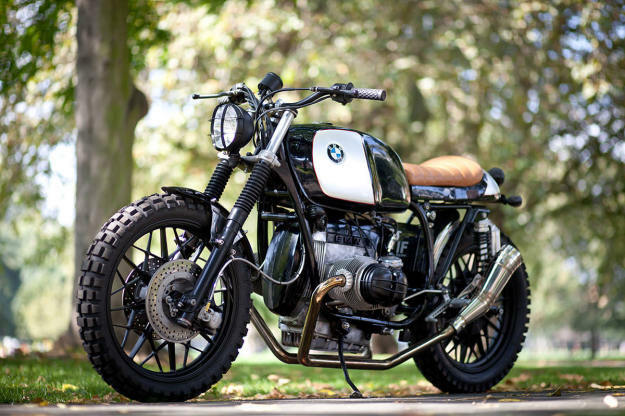 Our passion for motorcycles grew rapidly, a slippery slope to a mild obsession. 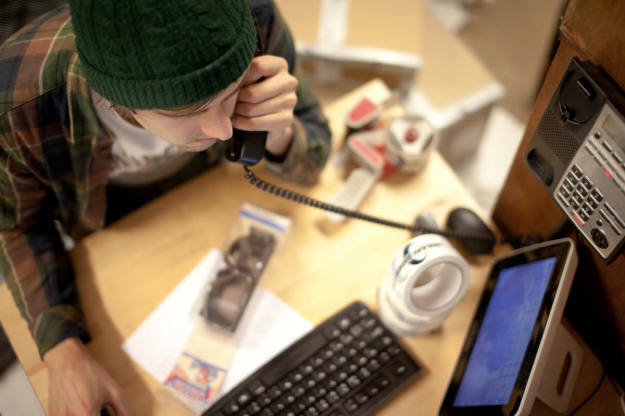 What are the most popular products that you sell at Urban Rider? When we started, Belstaff was our core brand. We used to trawl the EICMA show in Milan searching for fashionable protective wear, but the market has now changed beyond recognition. 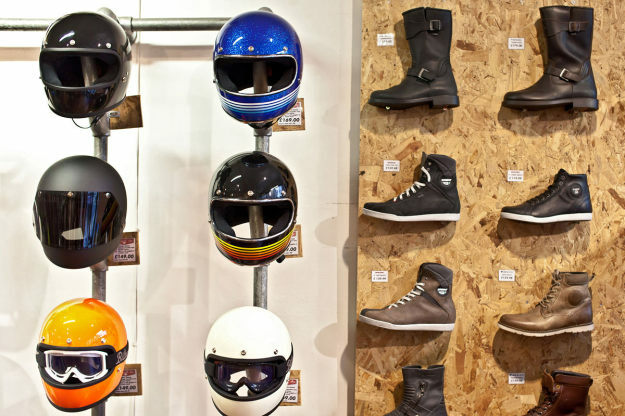 We pride ourselves on being ‘first to market’ in the UK and our current bestselling lines are the RSD Clash jacket, and the Bell Bullitt and Hedon Hedonist helmets. How many bikes do you build? We build a bike every couple of months with our mechanic Len. I originally trained in engineering and then took Industrial Design at the Royal College of Art, so it’s a fun outlet for my passion rather than a commercial venture. 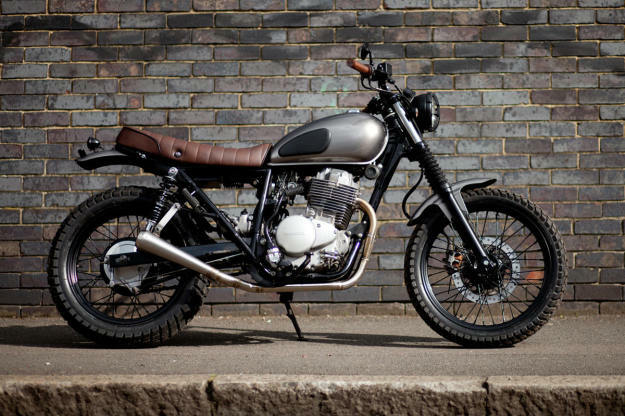 We’ve just completed our tenth Honda Street Scrambler. What sort of people are your customers? We serve both the fashion-conscious motorcycle rider and the ‘scooter commuter.’ We try to accommodate all city riders, people who want to be safe but able to get off the bike and blend into city life. Most customers like to dip in and out of different scenes: owning both a scooter and a motorcycle is becoming very common in London. Our customers range from students—riding because it’s cheap—right through to Members of Parliament needing to arrive at Westminster without looking like a pizza delivery driver! We are proud to count the odd megastar such as David Beckham among our clientele, but as a strict rule, everyone is treated the same when they pass through our door. How has it worked out so far as a business? The hard stuff is the sheer graft. Those first few years were brutal, and any new business tests your mental and physical stamina. Throw in the worst financial crisis of the century and we had it tough to begin with. What comes naturally is purchasing: Andrew and I represent our target market! 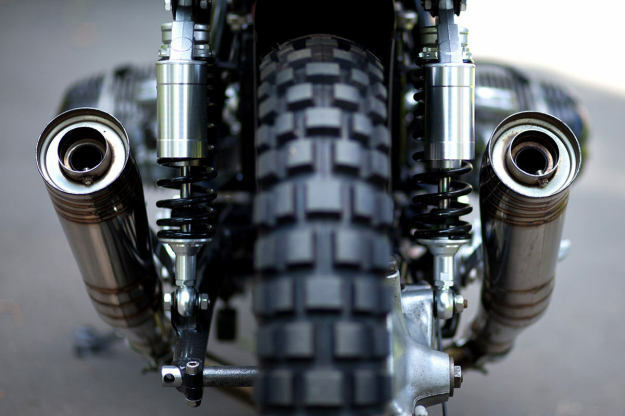 The motorcycle industry is an exciting world. On the dark side we’ve experienced robberies, conmen and imitators, but what keeps us motivated is our customers. The vast majority are people we would gladly share a beer with. Future plans for the Urban Rider brand? Retail is in the detail, and we’re improving our service with video content, same-day delivery and international offerings. Growing our online business is at our core, and remains our focus. We’d like to visit the shop, though. What are your opening hours? We’re open Monday to Friday, 9am-6pm. And on Saturday, 10am to 5pm. Urban Rider, 51 New Kings Road, Fulham, London SW6 4SE | Facebook | Images by Gary Margerum.